The NZ Marine Boatbuilders & Refit Group and the NZ Marine Export Group have released a guide for yachts destined for the Pacific nation, including never-before-released information around the 2020-2021 grand regattas. With a number of offshore visiting yachts already booking berths in New Zealand for the period of the 36th America’s Cup in 2020 and 2021, a comprehensive guide to visiting the host nation’s waters has been released. 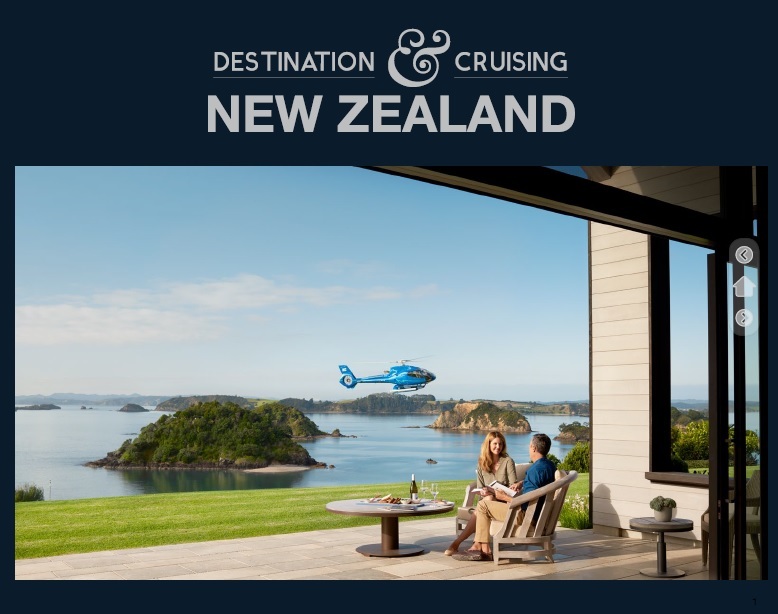 The 2020 edition of Destination & Cruising New Zealand contains extensive information on the places to visit, marinas and regulations for foreign-flagged yachts visiting New Zealand, as well as newly released details on the Grand Regattas which will take place over 2020 and 2021 around the 36th America’s Cup. Major events leading up to the Cup include the September 2020 Auckland On Water Boat Show, then December 10 to 20, 2020, the Christmas Race for the America’s Cup Defender and all challengers will run, followed by a New Year’s Day 2021 Regatta and party hosted by the Royal New Zealand Yacht Squadron to celebrate its 150th anniversary. The year will continue on a high with the New Zealand Millennium Cup superyacht regatta in the Bay of Islands, February 2 to 5, then the Prada Cup and the J Class Yacht Regatta; both held in February in Auckland’s Hauraki Gulf, before the America’s Cup match racing kicks off in March. A wealth of practical information covers New Zealand’s globally-recognised refit and supply industry, with a comprehensive directory of marine services and suppliers and useful information on cruising to, arriving at, and experiencing the Pacific nation’s waters to the fullest. Yachts interested in staying long-term in New Zealand will find the guide provides comprehensive information on local maritime law. Designed to encourage cruising, yachts are granted a 24-month temporary import entry (TIE) and are entitled to purchase equipment exempt from the local 15% GST. Superyachts wishing to charter in New Zealand can do so if they hold a SOLAS Convention Certificate and have the necessary Maritime NZ approval. Coverage by region provides inspiration for owner and guest time onboard, with recommendations from industry experts on where to go and what to see. The guide can be picked up at the Monaco Yacht Show, METSTRADE, Amsterdam and other international events, and is available for downloading now at www.nzmarine.com/destination-nz or hard copies can be obtained from NZ Marine by contacting Peter Busfield – peter@nzmarine.com. Published as a printed book and in an interactive electronic format, Destination & Cruising New Zealand is the result of a team effort from NZ Marine, member companies, Tourism NZ and government departments. It collates highly-useable material about New Zealand’s stunning cruising areas, as well as biosecurity, immigration, tax and other regulations frequently required by owners and crew of visiting yachts. NZ Marine is the country’s industry body and works to increase local and export sales for the New Zealand marine industry. Executive Director Peter Busfield is available for interviews on the approach of the 2020 – 2021 grand regattas, the ways in which the marine industry is preparing for the 36th America’s Cup and future projections for the marine market in New Zealand. Please contact Peter Busfield Peter@nzmarine.com, +64 21 676 744.